Whenever you make a major change to your HVAC system, it is important to trust a professionally licensed air conditioning company. At Steele Mechanical, LLC Air Conditioning and Heating, our AC service technicians are here to help you with the most extensive projects, including complete air conditioning installation in New Jersey. If you are planning to install a new air conditioner in your New Jersey home or business, call Steele Mechanical, LLC Air Conditioning and Heating today. Our AC service experts will provide you with great advice and assistance at every stage of the effort. Our staff can answer any questions that you may have and can schedule your appointment today. Determining when to replace your air conditioner can be difficult without expert assistance. In essence, you will be conducting a cost-benefit analysis between AC repairs and purchasing a new unit. As such, if you have an older air conditioner that is in need of constant repairs, it highly likely that it is time to replace the system. Do any of these issues sound familiar? Call our New Jersey HVAC contractors for help. 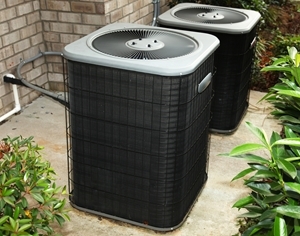 We can inspect your unit to determine if you should replace your air conditioner. At every stage of your air conditioner installation project, our experts will be providing you with the advice and information that you need in order to make the best possible choices. You will be making a substantial investment. Our AC technicians will be there to ensure that your decisions reap the most rewarding and long lasting benefits. Our New Jersey HVAC contractors will inspect your home and inquire as to your comfort needs. With this information, we can help you choose the best air conditioning unit for your property. It will provide for your comfort needs in the best possible manner, now and in the future. In this day and age, energy efficiency is of primary concern when choosing a new air conditioner. Our New Jersey air conditioning company can guide you through the selection process, helping you to understand what the different energy performance ratings of different systems mean. In this way, we can help you maximize the value of your investment, by choosing the air conditioner that will operate in the best possible manner for you. Call us today for air conditioning services in New Jersey, including air conditioner installation and replacement. If you would like an estimate for air conditioning installation in New Jersey, please call 609-259-3210 or complete our online request form.